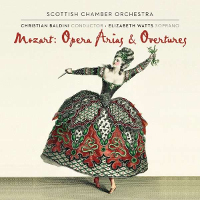 The Scottish Chamber Orchestra has established impeccable Mozartian credentials with its award-winning discography, to which Mozart: Opera Arias and Overtures is the latest addition. The SCO&apos;s previous forays into operatic repertoire (Handel with soprano Emma Bell and Mozart, Haydn & Cimarosa with baritone William Berger) have been highly critically acclaimed. The SCO&apos;s affinity with Mozart&apos;s music is demonstrated with perfect eighteenth-century style in the overtures; whilst the arias see the orchestra lend characterful support. Award-winning soprano Elizabeth Watts has performed in Don Giovanni at Covent Garden, Così fan tutte for Glyndebourne on Tour and Le nozze di Figaro for Santa Fe Opera and Welsh National Opera; she utilises her experience to create memorable performances. A love of Mozart inspired conductor Christian Baldini to make music his career so it is fitting that his recording debut with the SCO features repertoire that is so close to his heart. 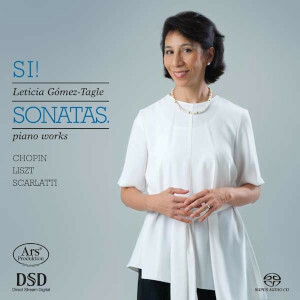 Rather than issuing a disc made up solely of either Mozart arias or Mozart overtures, Linn have had the happy idea to combine the two for this beautifully performed and recorded programme that not only showcases the remarkable talent and musicianship of soprano Elizabeth Watts but also the stylish orchestral playing of the Scottish Chamber Orchestra. 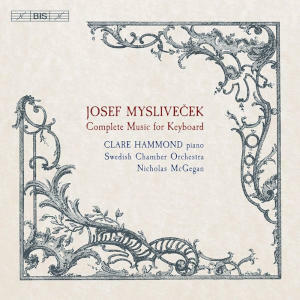 Each of the six overtures on this SACD, expertly recorded by Philip Hobbs in the Usher Hall, Edinburgh, (3rd to 6th June 2013), is followed by a soprano aria from the respective Mozart opera (or in the case of Don Giovanni both of Zerlina&apos;s arias), something that makes for a more varied and interesting recital than is often the case. The creamy soprano of Elizabeth Watts seems perfectly suited to Susanna&apos;s aria &apos;Deh vieni non tardar&apos; from Act IV of the &apos;Marriage of Figaro&apos;, but she is equally adept in the more stylised world of Opera Seria, as is demonstrated by her dramatic and fiery delivery of the recitative preceding Ilia&apos;s aria &apos;Padre, germani, addio! from &apos;Idomeneo&apos;. Throughout this recital Watts&apos; firm and beautifully controlled singing meets the challenges posed by the diverse characters portrayed in these six Mozart operas and, thanks to her feeling for the words and immaculate diction, she is most successful in differentiating between each of them; no easy task in programmes of this type. Christian Baldini elicits lively, but never hard driven, performances from the thirty six members of the Scottish Chamber Orchestra whose period influenced style (natural horns, timpani played with hard sticks etc.) is a delight. Elizabeth Watts&apos; voice is set in perfect perspective with the orchestra ensuring that the characterful winds are always audible. Full texts and translations and are included, and Philip Borg-Wheeler&apos;s liner notes provide useful background information on each of the operas as well as placing the respective arias in context. Wherever you dip into this disc you will find singing of great character, freshness and refinement that marks out all of Elizabeth Watts&apos; performances, making this a disc to return to often with much pleasure.